No one knew of any recordings of the speech. When Scanlon found an online photo of King at ASU, she brought all the recordings to Rob Spindler, ASU archivist and curator of special collections for Arizona. Together with Scanlon, university librarian Sherrie Schmidt and ASU historians and professors Matthew Whitaker and Keith Miller, Spindler listened to the recordings for the first time last June. 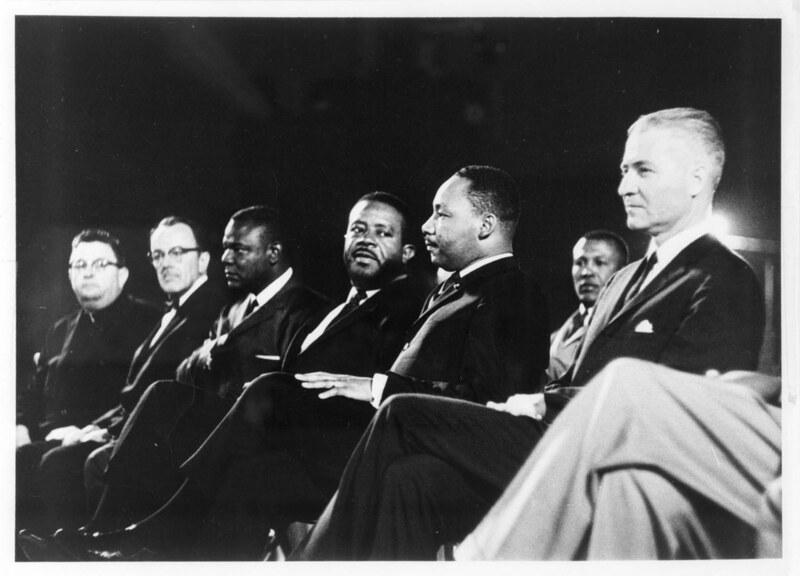 ASU University Libraries worked with the literary agent for The King Center in Atlanta to get permission to make the speech, titled “Religious Witness for Human Dignity,” available to the public. It is now available online through the ASU Library Repository, at repository.asu.edu/items/18389. Lincoln Ragsdale, Jr., his son, approved the university's use of the recordings on behalf of the family. Both Ragsdales are ASU alumni. Lincoln Ragsdale, Sr., graduated with a B.S. in economics in 1953 and his son graduated from the W. P. Carey School of Business int 1977. King was invited to Arizona by the Maricopa County chapter of the NAACP to deliver his speech to a crowd of 8,000 people at ASU’s Goodwin Stadium. G. Homer Durham, then president of ASU, introduced King and praised him for putting the Sermon on the Mount into practice. Durham, who came to ASU from Utah, was a well-known member of the LDS Church. A newspaper advertisement in the Arizona Republic in June of 1964 invites “All Faiths” to “Join Together in a Religious Witness for Human Dignity in True American Tradition.” In addition to the NAACP, sponsors of the event included St. Agnes Parish, Central Methodist Church, Temple Beth Israel, Mt. Calvary Baptist Church, 1st Institutional Baptist Church and the Phoenix Council of Churches. Whitaker’s book, "Race Work: The Rise of Civil Rights in the Urban West," is one of only a few that mention the speech, or even King’s visit to Arizona. Others include Durham’s memoir and "Living the Dream in Arizona: the Legacy of Martin Luther King, Jr.," edited by Gretchen M. Bataille, Albert L. McHenry. The speech, according to Miller, an ASU professor of English, is significant for several reasons. He is a national authority on King’s speeches and the author of two books about King: "Voice of Deliverance: The Language of Martin Luther King, Jr., and Its Sources" and "Martin Luther King’s Biblical Epic: His Great Final Speech." Miller said Durham’s welcoming of King was also bold for another reason. The LDS Church, of which he was a member, did not fully recognize racial equality until 1978. “Durham was a racial liberal who went out on a limb. He also hired African-American professors at ASU,” added Miller. According to Whitaker, by meeting with African-American leaders in two other venues, King affirmed the importance of the African-American community in Arizona. “The cooperation of ASU and the NAACP in welcoming King sets the record straight in the national historical record,” Whitaker said. “Arizona gained great notoriety in the late 1980s when Gov. Evan Mecham rescinded the King holiday, triggering a national boycott of Arizona. On top of that, in the early 1990s in a statewide referendum, Arizona voters defeated a proposed King holiday, perpetuating the image that Arizona was anti-King. Phoenix lawyer Herb Ely, longtime civil rights activist and legal counsel for the NAACP at the time of King’s speech, said no more convincing example exists of the importance of King’s speech than the fact that 13 days later, the city of Phoenix passed a comprehensive public accommodation ordinance outlawing discrimination in all places of public accommodation. The Digging Into Data program encourages research teams to develop new tools for large-scale data analysis. 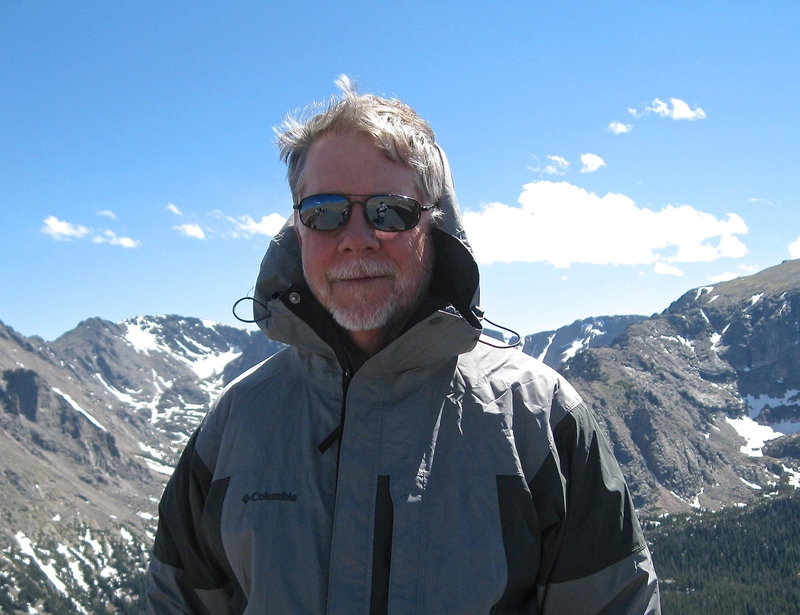 ASU professor C. Michael Barton has been named a “Digging Into Data” challenge winner. He is among a cohort of research teams representing Canada, the Netherlands, the United Kingdom and the United States that were named by 10 international research agencies, including the National Science Foundation in the United States. The 10 sponsoring agencies are providing approximately $5.1 million to fund the 14 winning projects. Barton, School of Human Evolution and Social Change professor and director of the Center for Social Dynamics and Complexity, is part of a team that is developing Mining Relationships Among variables in large datasets from CompLEx systems (MIRACLE). The project is specifically for social and environmental scientists using models whose outputs are difficult to analyze using traditional statistical methods. The project will develop interconnected, web-based analysis and visualization tools that provide automated ways to discern complex relationships among societies and their environments.. These tools will be developed and made available through a partnership with the Network for Computational Modeling in Social and Ecological Systems (CoMSES Net), a National Science Foundation research network directed by Barton, ASU School of Human Evolution and Social Change Associate Professor Marco Janssen, and Lillian Alessa, University of Idaho. “Computational modeling is becoming an important tool for scientific research on complex socio-ecological systems. The modern world is dominated by these systems in which societies interact and influence the natural world in many ways – and are themselves affected by this humanized natural environment,” Barton said. Utilizing research tools that enable modelers to easily manage, analyze, visualize and compare output data will also allow for the formation of web-based tools that can be used by the general public, policymakers and stakeholders. Researchers will be able to explore, interact with and provide feedback on what were once difficult-to-understand models. “This kind of modeling creates large and complex data sets that are not easily dealt with by commonly used analysis methods. This new grant will develop special computer-based tools for making sense out of this complex data. The fact that this grant is part of an international research consortium, funded by the Digging Into Data Challenge, is a mark of growing importance of this new kind of science,” he said. Researchers on the project have already created virtual worlds with varied environments through computer code, including agent-based models to explore interactions such as: land use and landscape; social dimensions of climate change; agricultural land use and management; and biodiversity, among others. The tools and platform that they will develop will offer an opportunity to uncover new theories about how social systems work. Researchers will also be able to test how realistic a simulation is and propose new areas to explore. The project is lead by Dawn Cassandra Parker, University of Waterloo, Canada. Other members of the research team are: Barton; Tatiana Filatova, University of Twente, Netherlands; and Terence P. Dawson, University of Dundee, the United Kingdom. The Digging into Data Challenge is administered by the Office of Digital Humanities at the National Endowment for the Humanities.